With fall we're getting ready to tailgate, have family get-togethers, and celebrate the many fall birthdays in our family. We all love the flavors of traditional Mexican food but we decided to meld them with appetizers to get party-friendly foods with the flavor we love. 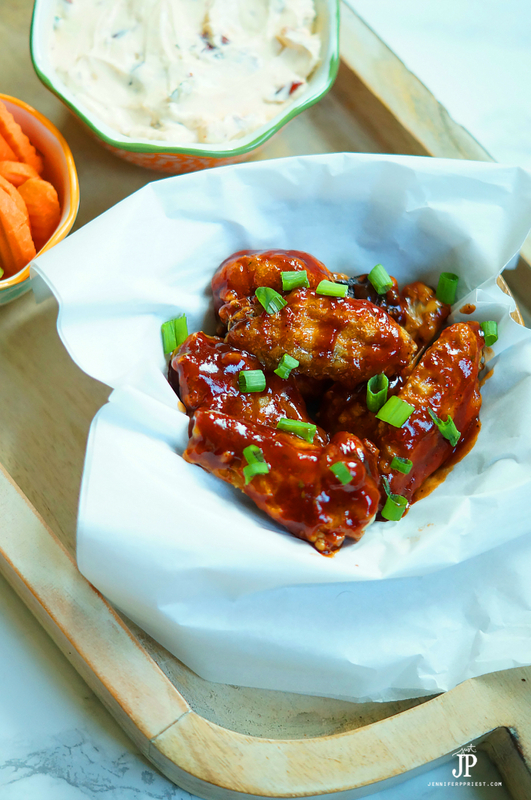 These Baked Spicy BBQ Adobo Chicken Wings are a reference to Buffalo Chicken Wings with the kick of adobo sauce. Served with Knorr's Cream Chipotle Dip Recipe, they're a hit at every family gathering! 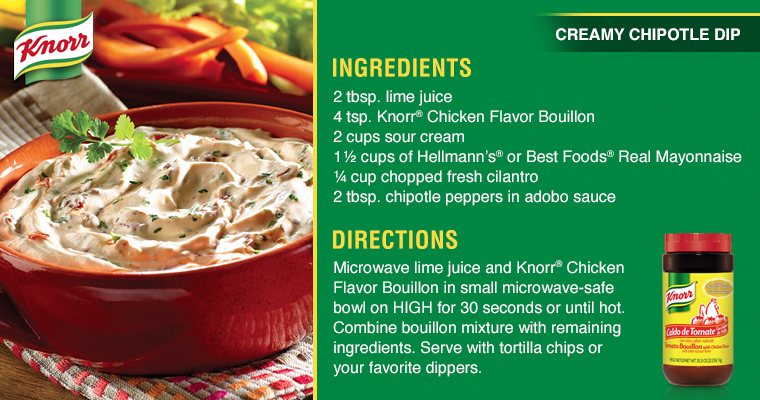 First, let's make the yummy Creamy Chipotle Dip with Knorr® Chicken Flavor Bouillon and Best Foods® Real Mayonnaise. 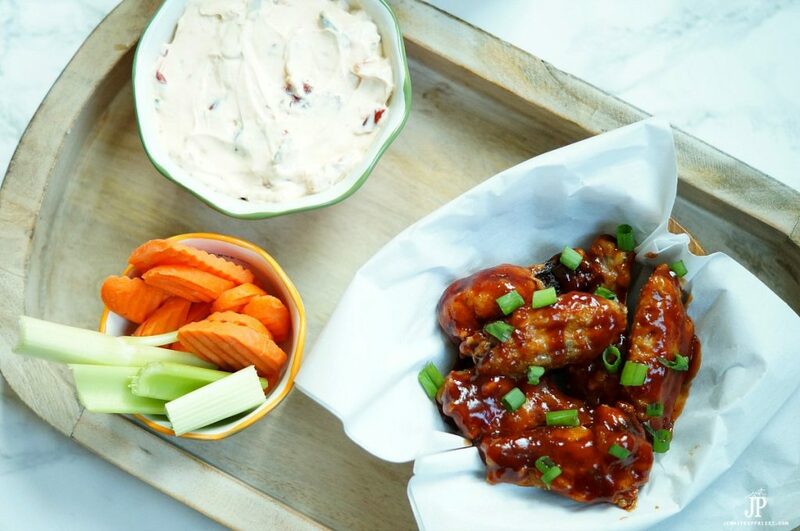 You can get all of the ingredients for these wings and the dip at Walmart. Party time just got way easier, right?! 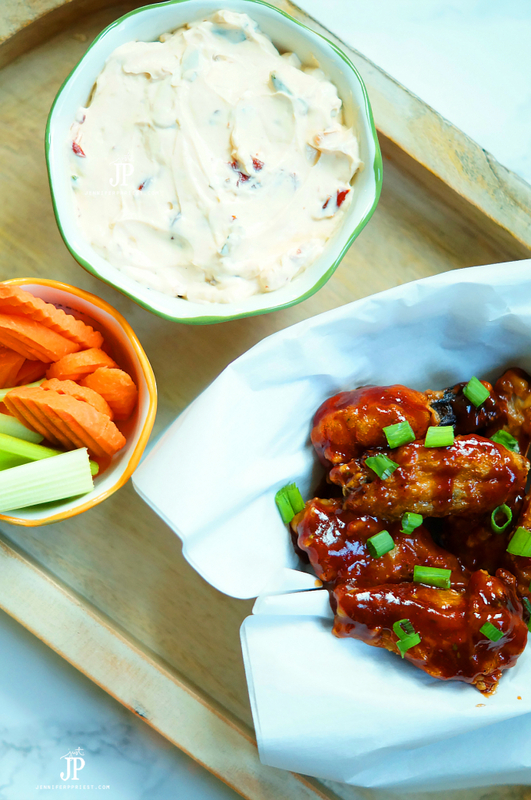 These spicy wings are the best party food. Serve them with the dip recipe above and with fresh veggie sticks. 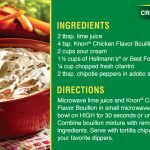 Prepare the Knorr® Chicken Flavor Bouillon with water. Brine chicken wings in broth in fridge for 30 minutes. Preheat oven to 250ºF and place a wire rack, such as a cooling rack, in a cookie sheet. Rub the rack with olive oil or another paleo-friendly oil. Pat defrosted chicken wings dry and then add to a plastic bag. Add salt and baking powder and shake bag to coat evenly. Place wings in a single layer on the rack and place the cookie sheet and rack on the bottom rack of the oven. Bake for 30 minutes to render out the fat. After 30 minutes, turn heat to 450ºF and place the cookie sheet with the wings on the top rack of the oven. Bake for 40-50 minutes or until golden brown, flipping once halfway through cook time. Once done, remove from oven and let sit for five minutes. While wings sit, make sauce. In a bowl or a food processor, add bbq sauce, chipotles in adobo sauce, garlic cloves, and cilantro. Run processor until smooth. Taste for heat, and if too spicy, add more bbq sauce. If you want a milder sauce, omit the chipotles and just add the adobo sauce from the can. 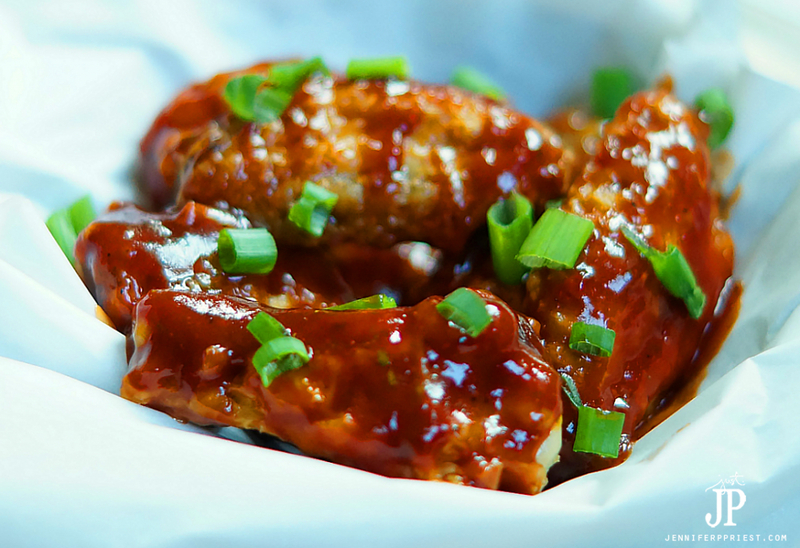 Toss wings in adobo bbq sauce and then garnish with diced green onions. We used this method of wing cooking: The baking soda dries out the skin to help get a crispy baked wing. Baking on low heat for 30 minutes renders out the fat and then turning the oven up crisps up the skin. Using a rack over the cookie sheet allows air to circulate all around the wing so that the underside doesn't get soggy from sitting in the dripping fat. 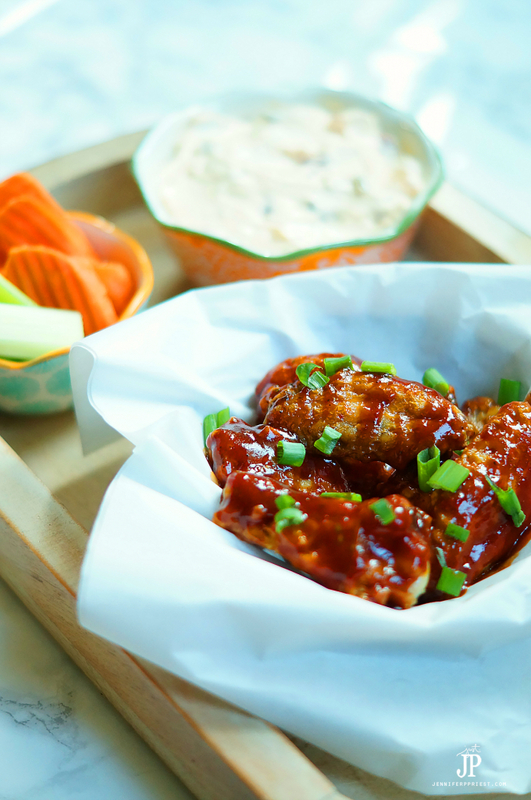 A spicy adobo chicken wing recipe, great for parties! Prepare the bouillon with water. Brine chicken wings in broth in fridge for 30 minutes. Preheat oven to 250ºF and place a wire rack, such as a cooling rack, in a cookie sheet. Rub the rack with olive oil or another paleo-friendly oil. Pat chicken wings dry and then add to a plastic bag. Add salt and baking powder and shake bag to coat evenly. 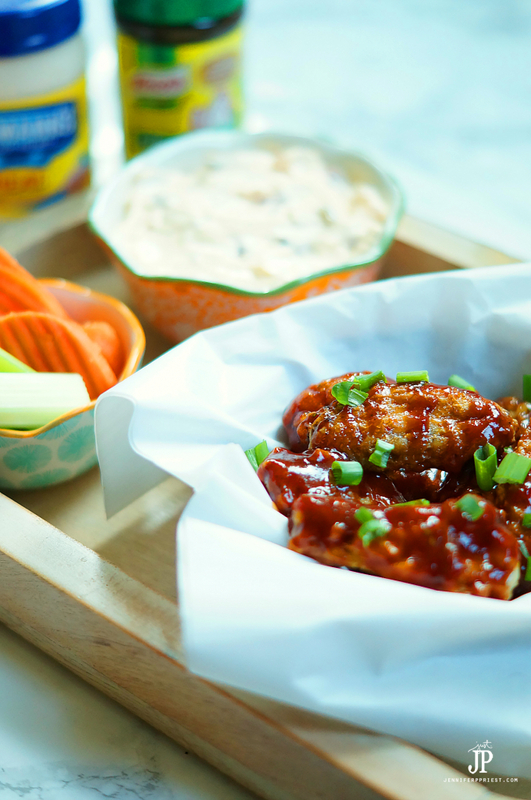 Head into Walmart and stock up on Knorr Boullion to create the Creamy Chipotle Dip to pair with these Baked Spicy BBQ Adobo Chicken Wings. If you live in the Dallas, Houston, Los Angeles, San Antonio or Phoenix area, be sure to check with your local Walmart representative about a special Dia de los Muertos event going on at select stores. You’ll definitely want to bring the family out for this! What's your favorite party food? Let me know in the comments section! Ooh you made me sooo hungry!! Delicious! Thanks a lot for joining us at the Family Joy Blog link up party! Pinned your post to our Pinterest party board! !